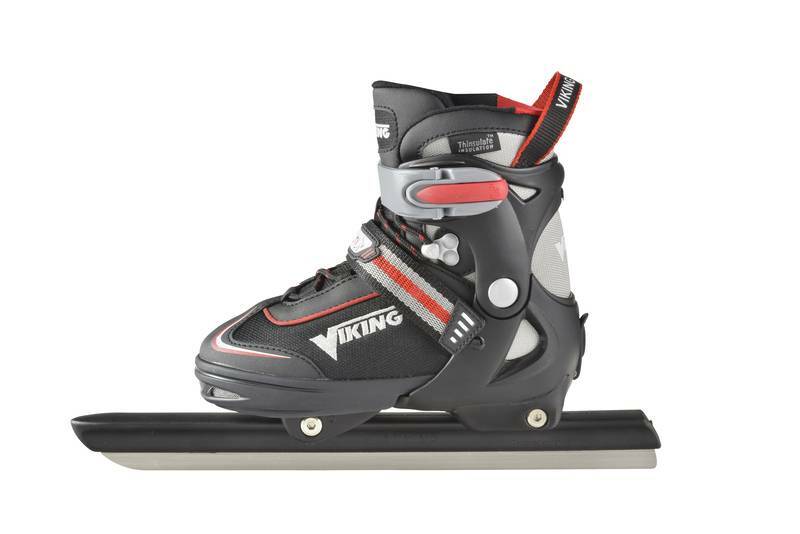 Vikings new lightweight Children's Skate is comfortable and adjustable to four different sizes. 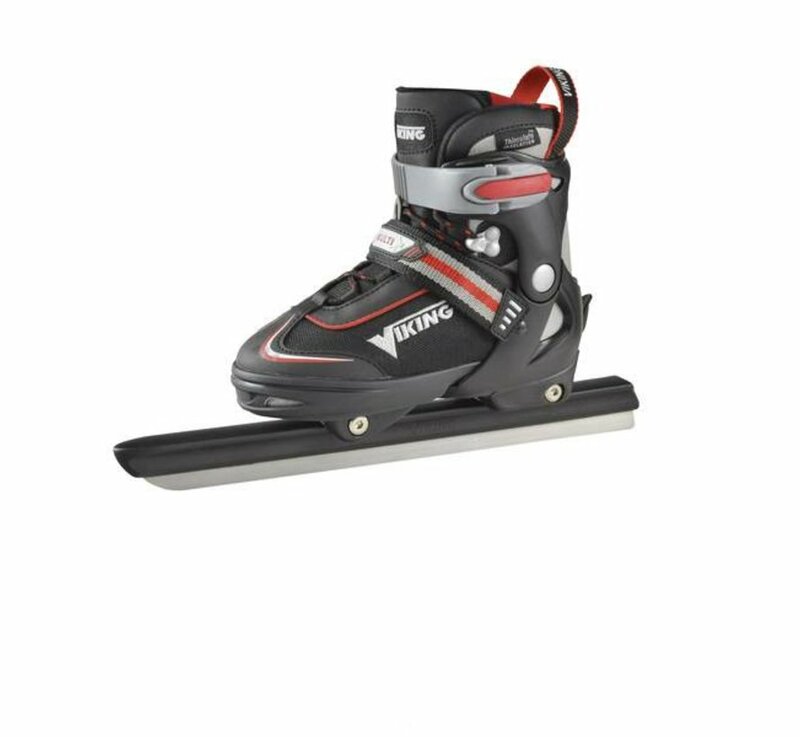 The durable and waterproof polyester shoe has good support and the fit is adjustable with a pull-knob on the heel. 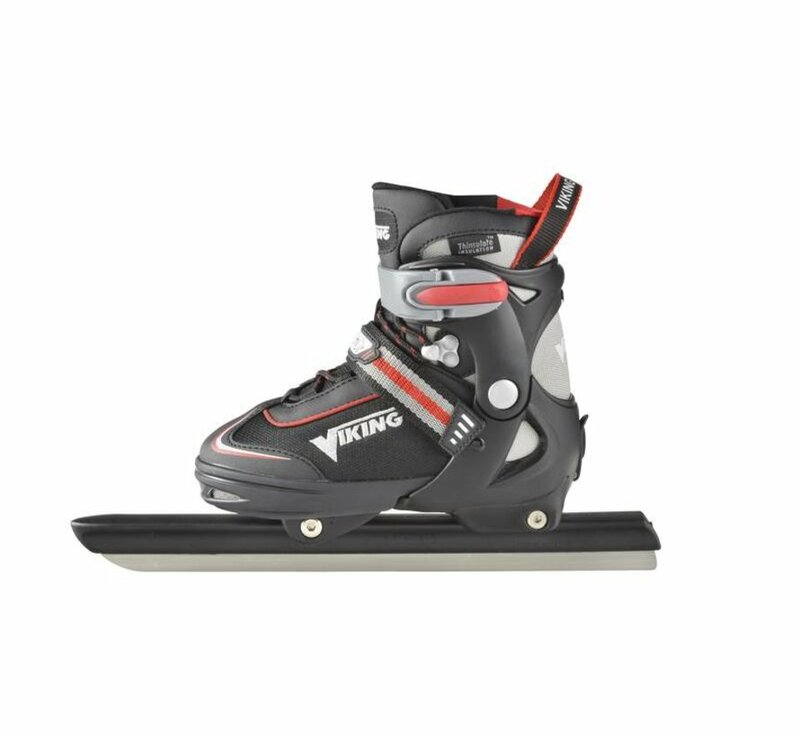 The children's skate is very easy to close with the special lacing and simple fast-closing mogul. The special Velcro closure is convenient and also provides additional support. The Thinsulate material in the liner protects against cold but is breathable at the same time. 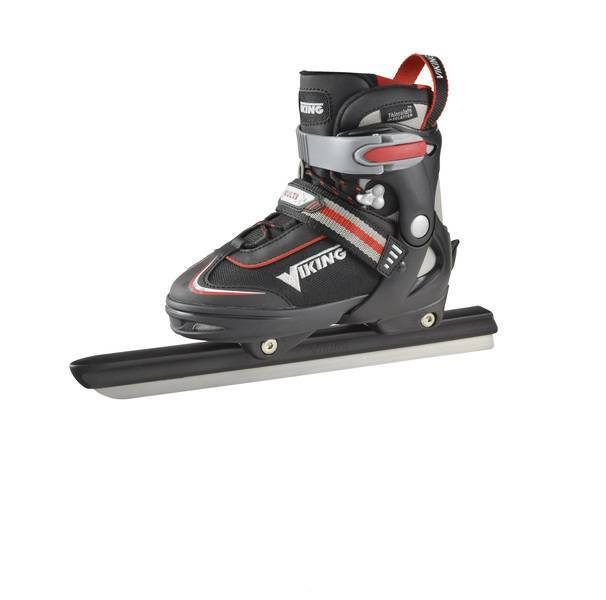 The undercarriage consists of a Dutch manufactured lightweight plastic frame with a stainless steel skate. Adjusting: Pull-knob on the heel.